We all spend a lot of time thinking about our baby’s sleep. Catch up with your mumma friends and the conversation inevitably turns to sleep. When does your baby sleep? How long does your baby sleep? How do you get your baby to sleep? Why doesn’t my baby sleep? The funny thing is, when they finally are asleep, we keep thinking about them! Are they ok? Are they comfortable? Are they warm enough? Are they still asleep? 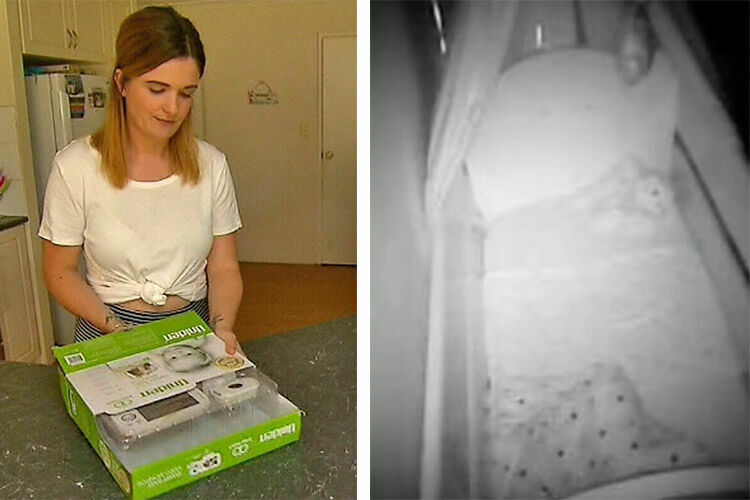 All these questions are very distracting and may tempt you to pop into your bub’s room to check that they’re safe and secure – but you don’t want to risk waking a sleeping baby. Get the best of both worlds. 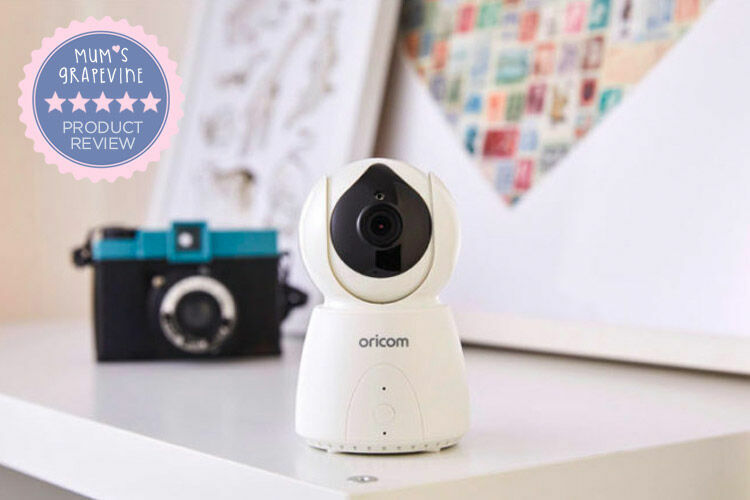 With the Oricom Secure850 Digital Video Baby Monitor ($279), you can keep a watchful eye on your cherub, without interrupting their sleep. 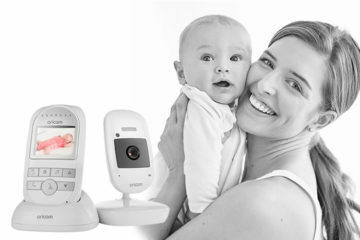 Packed with features, it has everything you need to be sure your little one is snoozing soundly, so you can get on with your day. 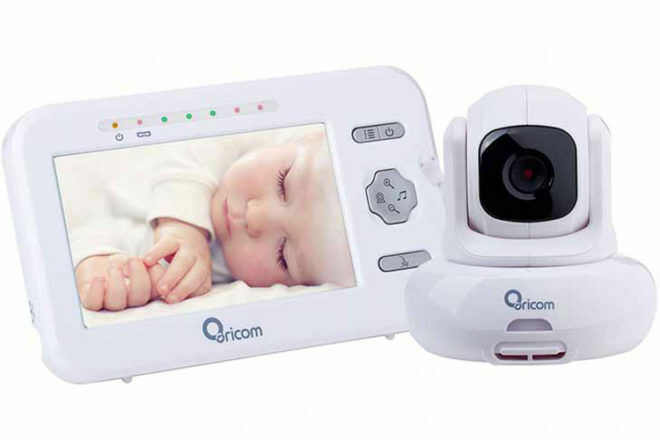 You won’t miss a thing on the large, high quality, colour 4.3″ digital video screen. 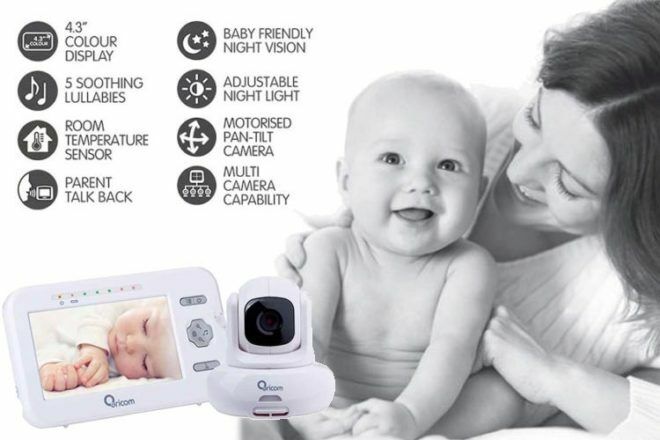 The camera also features a fully motorised movement camera, controlled through the parent unit. 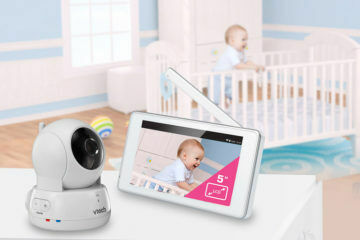 With 300 degrees horizontal and 110-degree vertical movement, you’ll enjoy near perfect visibility around their room. And if you’d like to get in nice and close, it has a handy digital zoom. The Oricom Secure850 also has everything you need when it’s time to turn the lights out. 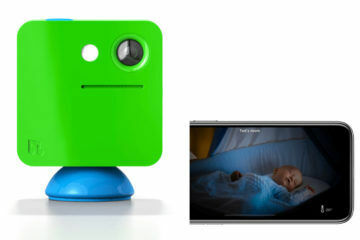 The baby-friendly night vision means you can still see your sweetpea in the dark. 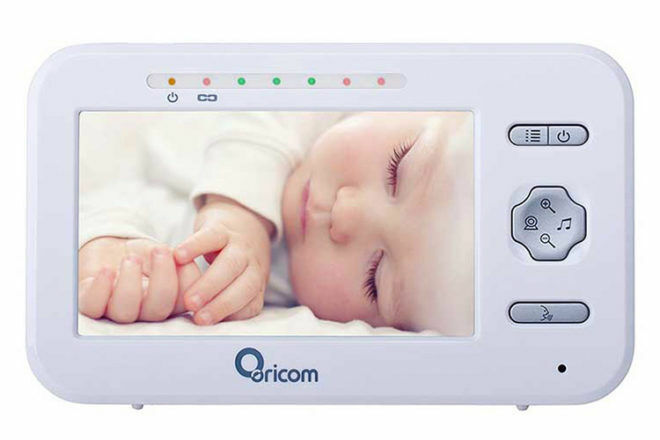 The Oricom Secure850 is just what you need to be sure bub is sleeping safe and sound. And to keep your sleepy bear comforted all night long, it comes with an adjustable nightlight – instantly dim or brighten the room so it’s just right. Or if bub needs a bit of extra soothing, simply switch on one of the five calming lullabies to send them off to sleep. And it can all be done on the parent unit. Rest easy knowing that everything is just right for your baby bear, with a room temperature display. The programmable alert will also let you know if the temp is getting too hot or too cold. For those times when your bub stirs and you’d rather stay out of their room to encourage them to settle, but still like to give them a few reassuring words, there’s a handy parent talkback function. 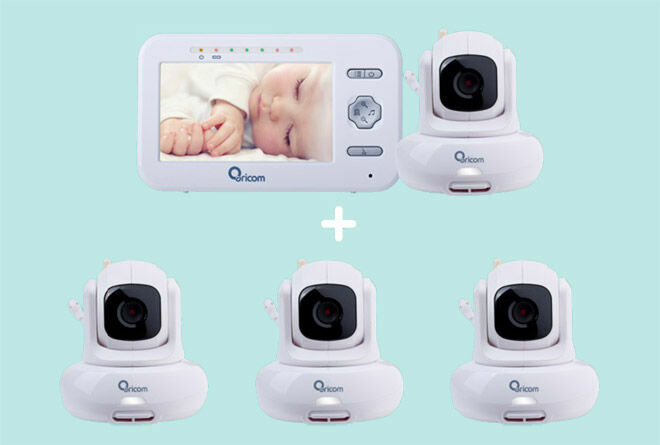 The Oricom Secure850 is also clever enough to work with more than one camera – you can connect to up to 4 camera units (sold separately). Perfect if you’d like to set up one in every room bub might be, or you have more than one tot to watch. And with an 8-hour battery life on the parent unit, you can enjoy the freedom to roam. Visit Oricom for your closest stockist.